Type in your Server address, Script directory, and the Site profile name. You can change the path to where the file are placed too. 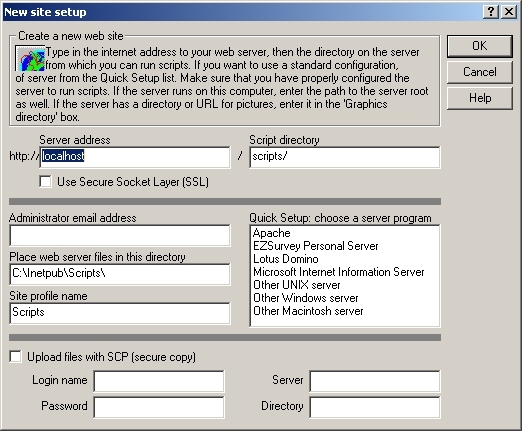 If the web server is installed on your local computer try selecting it under the Quick Setup.